The betting lines for all four games on Wild Card Weekend have changed in recent days, making every road team the favorite in the first round of the 2016 NFL playoffs. The lower seeds have had a difficult time reaching the divisional round in recent years, but that might not be the case on Saturday and Sunday. 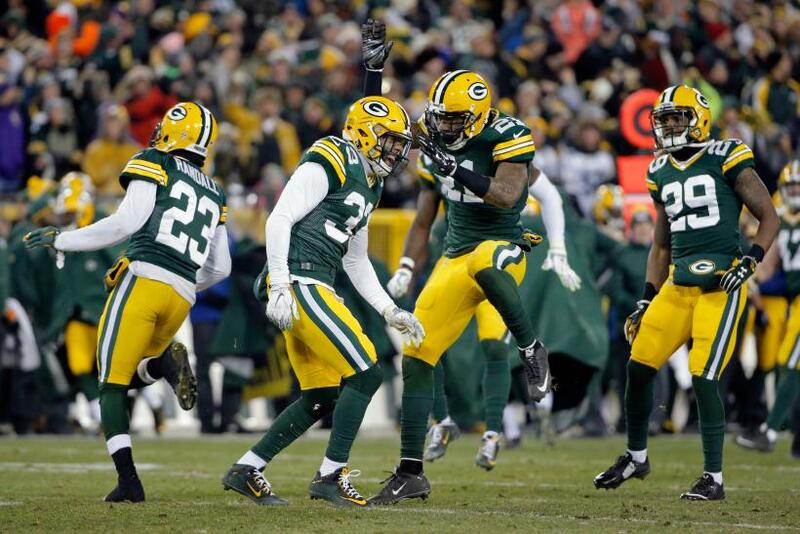 The Green Bay Packers were the only road team that began the week as an underdog. As the No.5 seed visiting the NFC East champion Washington Redskins, the Packers were getting one point. But the betting public is backing Aaron Rodgers and Co., making Green Bay a one-point favorite. Once it was reported that AJ McCarron would likely start over the injured Andy Dalton, the Cincinnati Bengals were named 2.5-point underdogs against the visiting Pittsburgh Steelers. With the contest just two days away, Pittsburgh is now favored by a field goal. Dalton and Cincinnati won in Pittsburgh earlier this season, but the Bengals lost at home to the Steelers when Dalton broke his thumb and left the game early. The Kansas City Chiefs have gone from a three-point favorite to a 3.5-point favorite in their game against the Houston Texans. Kansas City already has one win in Houston this season, and they are looking to win their 11th consecutive game overall. The Minnesota Vikings are the one home team that is a smaller underdog than they had been a few days ago. On Monday, the Seattle Seahawks were giving the No.3 seeded Vikings 6.5 points. The point spread has dropped to five points. Minnesota led the NFL in the regular season with a 13-3 record against the spread. Minnesota and Cincinnati have the NFL’s best records against the spread, while Washington and Houston are tied for fourth. Kansas City is the only team playing in the first round of the playoffs that doesn’t have a winning record against the spread. Below are updated betting lines for all the games on Wild-Card Weekend. These are the consensus odds from multiple sportsbooks in Las Vegas, via vegasinsider.com.